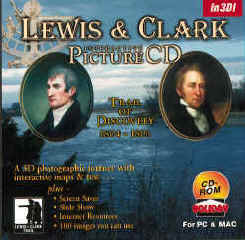 This CD is the first interactive picture CD. It was made from images by long time View-Master photographer Charlie Van Pelt. Taken over several years the photos take you on the trail with Lewis and Clark. 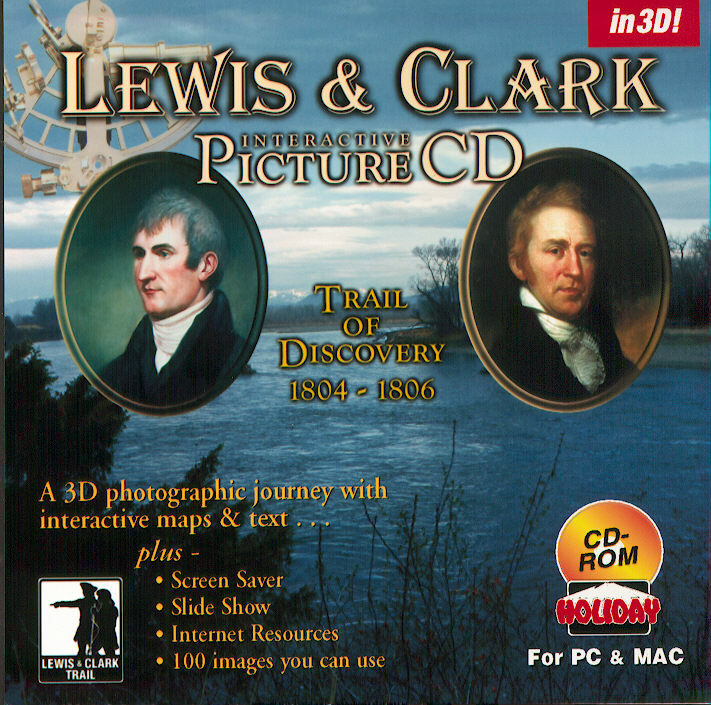 Follow an interactive map of Lewis and Clarks adventure and see the images in 3D. The CD gives you a choice of 3 different viewing options, 2D, Anaglyphic or side-by-side. If you chose anaglyph you can view them in 3D using the included anaglyph glasses or one of the high quality anaglyphic glasses offered on our site. They are zoomable and printable. If you choose side by side the images are sized for viewing using our lorgnette (3D card Viewer). Also included (in the files section of the CD) are zoomable side by side images. The images are also printable for your enjoyment. MAC and PC. This CD contains 150 pictures on CD all royalty free, several video clips and 20 3D images from Mars. All the images are generated from JPL first generation digital images. The 3D images are anaglyphic (red/blue) and a pair of 3D glasses is included! Also screen savers are included. These images were taken by the Pathfinder landing craft and are all printable and usable. Where before there was a flat plain we now see gulleys and canyons. Yogi, barnacle bill and other formations will literally leap out at you from your monitor. MAC and PC.